Summer is looming over us like a big cloud filled with muggy heat and barbecue smells. There's nothing we like better than throwing on a summer dress and kicking back with a large rosé in one hand and an ice-cold lolly in the other. But now we can combine our favourite summer refreshments into one amazing alco-pop and we're bulk buying each flavour. Everyone loves summer, don't they? When you're sticking to commuters on the tube and all the print from the Metro is rubbing off on your sodden fingertips. When you step out for five minutes on your lunch break to eat a sandwich and call your mum and somehow you manage to procure yourself an odd, phone-shaped tan line on your cheek. Even when a mild 22° heat gives you such bad sunstroke that you're sat on the sofa, both hot and cold, talking to no one - even then, we love summer, right? The only thing​ we love more than summer is all the great things we can only consume in summer. Barbecued sausages, Pimm's, ice creams. But it's time to up our Calippo game because British popsicle brand Pops have combined our two favourite things: ice lollies and alcohol. 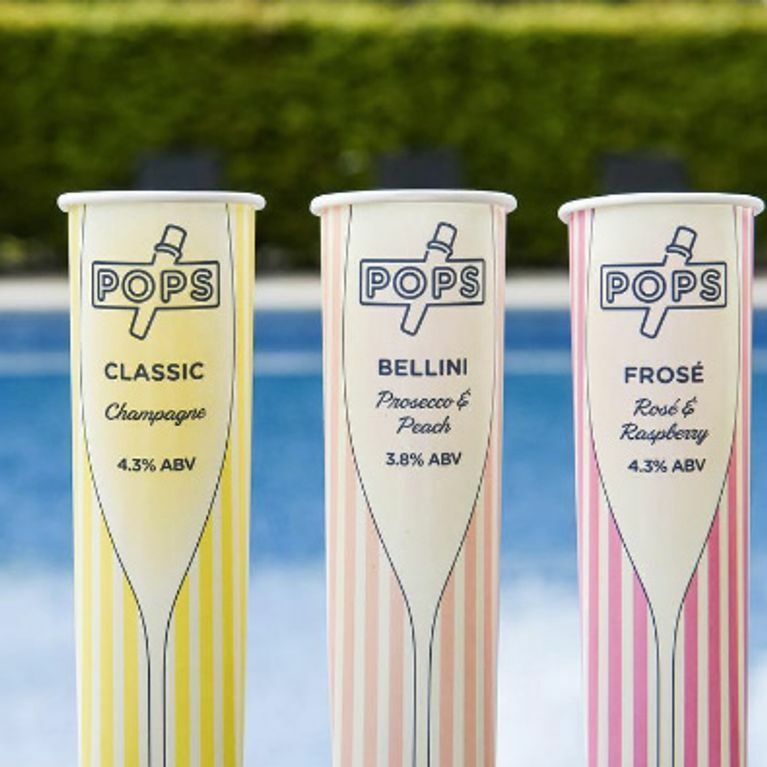 Pop's range of alco-freezes include such sophisticated flavours as Prosecco & Peach, Rosé & Raspberry and - of course - classic Champagne. Not only do they do these fancy flaves but they also do non-alcoholic pops too in strawberry & mint, apple and chilli mango - those without a sophisticated palate need not apply.